Why should I get a wallet case? 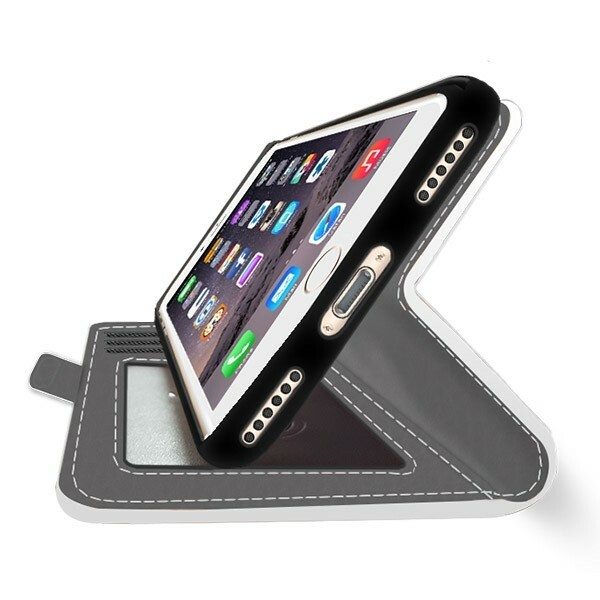 A wallet case protects not only the back and sides of your phone, but also the front! In addition, it's a super handy case, because you can take all your cards with you. You do not always have to drag your old wallet with you! With GoCustomized you can design your own iPhone 8 PLUS wallet case. The space on the case then becomes your own personal canvas. The edges of the case are perfectly measured, so your iPhone 8 Plus maintains its elegant shape. 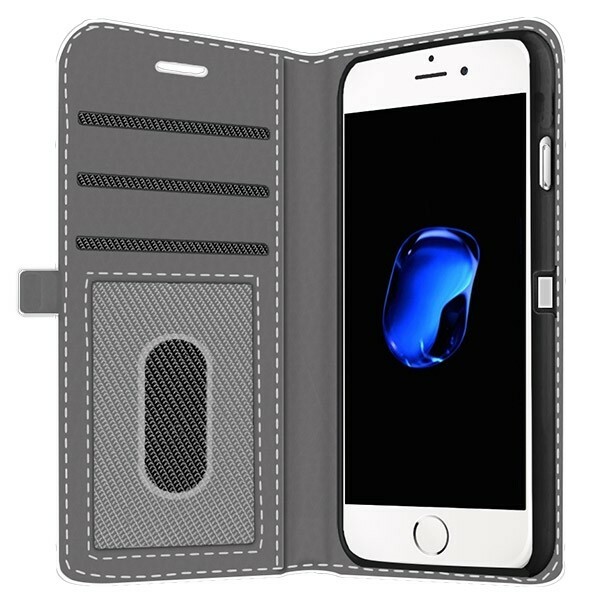 iPhones are known for being very smooth, it's therefore a must to protect your iPhone properly, because before you know it, your iPhone 8 PLUS can slip right out of your hands, but not with a Wallet case from GoCustomized! As mentioned above, you can customize your own iPhone 8 PLUS wallet case. This way you can immediately find out how creative you can really be! iPhones are very fragile and therefore must be well protected from scratches, bumps, and falls. With this wallet case you do not have to worry about it! You can create your own design by uploading a personal photo or image. For example, choose your favorite photo or your most beautiful memory! Then you can choose to add a text or symbols so your phone case is completely unique. In our easy-to-use design module, you can easily design an iPhone 8 PLUS wallet case. Additionally, it's fun! If you have no inspiration, you can also choose one of our designs! How will it take to get my new custom phone case? A GoCustomized wallet stops you from worrying about your phone. You can now design your own iPhone 8 PLUS wallet case to protect your phone from damage. Additionally, your phone is no longer a dull gray, it's your own colorful and vibrant design! Once you have paid the order, we will get started immediately so that you can enjoy your new case within a few days. The wallet case has three card slots. In addition, all the buttons on the phone are still well-accessible. What are you waiting for? Start designing an iPhone 8 PLUS wallet case!